In the world of emergency medicine, there’s nothing fun about the guessing game. With a seriously ill or injured patient, every second counts and the wrong diagnosis can actually have a significant impact on health. That’s why having all available information is absolutely critical to stabilizing patients and saving lives. 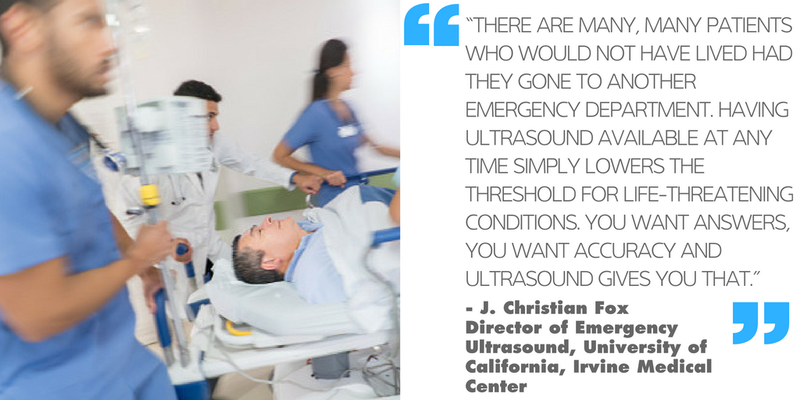 Dr. Oviedo, who practices at Hospital de Valme, is an educational evangelist for point-of-care ultrasound, and has worked to spread ultrasound education to colleagues both in and outside of emergency care.